Sno-Way has no lift chain! 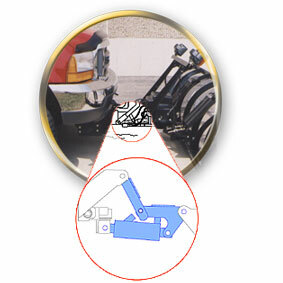 One of the patented features of all Sno-Way snowplows is the direct linkage lift/lower system. The direct linkage system is designed to give all Sno-Way plows the ability to stack snow higher. Nobody in the industry comes close. This allows snow plow users to get the job done more efficiently and make more money with Sno-Way snow plows. Sno-Way has no lift chain. This feature eliminates the chain slap & bounce common to other makes of snowplows. The direct linkage is a secure and positive connection resulting in less wear and tear on both the snow plow and vehicle.